Hyperemesis gravidarum is excessive vomiting of a pregnant woman; it is an excessive and exacerbated form of morning sickness that is suffered by a very small minority of pregnant women. Hyperemesis gravidarum happens in less than 2% of women; however, without treatment it can cause some very serious complications that can greatly endanger a woman’s health and well being. The actual cause of Hyperemesis gravidarum is not clearly understood, though for a long time it was believed to be a disorder with a psychological origin. For instance, it was often believed that if a woman had an adverse reaction to her pregnancy, or rejected it; or if she suffered from some other underlying stress or psychological disorder then she would develop this problem during pregnancy. This theory often prevented women from receiving the kind of medical intervention that would ease the problem, however this theory has been debunked in recent times. Hyperemesis gravidarum is said to be caused by certain genetic predispositions as well as other reasons such as raised HCG levels or higher levels of hormones such as estrogen and progesterone. 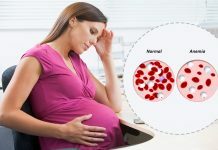 In addition, it is also thought that this condition may be triggered by the body’s immune system’s perception of the presence of a fetus as that of a ‘foreign body’. Leptin is also thought to have something to do with Hyperemesis gravidarum. The senses may also be altered. Women may experience excessive salivation, altered sense of taste and heightened sensitivity of the brain to motion. In extreme cases there may be hallucinations experienced. Stress levels, both physical and psychological may increase considerably. 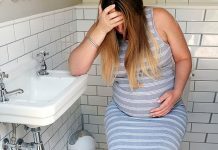 Next articleAcidity During Pregnancy – Why Does It Happen?